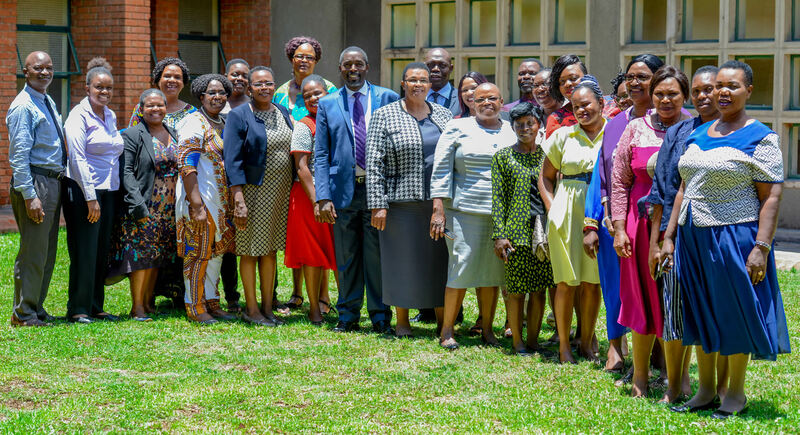 The Africa University Institute of Peace Leadership and Governance hosted a workshop that brought together women in leadership positions from the Parliament of Zimbabwe. Some of the provinces represented by their members of parliament included Manicaland, Matebeleland, Mashonaland East, Mashonaland Central and Midlands provinces to name just a few. The highly subscribed and well attended workshop formed one of a series of similar workshops that have been held in partnership with the institution’s strategic partner, UN Women, that are designed to speak to topical women’s issues in dialogue, mediation, peace keeping and leadership. The workshop was officially opened by the Deputy Vice Chancellor Professor Peter Mageto, who delivered the opening remarks on behalf of the Vice Chancellor Professor Munashe Furusa. In the address, Prof. Mageto reiterated the importance of women’s empowerment not being relegated to a human rights issue but to placement on the agenda for sustainable development across the continent. He went on to emphasize the need to remove hurtful cultural stereotypical depictions of women in African culture and allow the re-education and emancipation of the African Girl Child. The Dean of the College of Business, Peace, Leadership and Governance, Professor Pamela Machakanja who was also one of the key presenters marvelled at the impact that the leadership programmes offered by Africa University had translating into meaningful and impactful transformation in the lives of women especially due to the presence of alumni of Africa University being amongst representatives present at the workshop. The main objectives of the workshop were to define strategic actions to fully support women’s capacity building and develop a road map to action, encourage cross dialogue and collaboration between women in leadership while sharing and comparing experiences, and to strengthen engagement between and amongst women from different backgrounds.